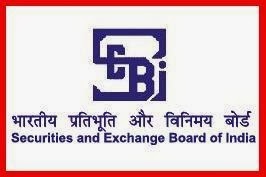 SEBI has published the Score Card (Marks) for the Recruitment of Officers Grade 'A' (Assistant Manager) in General Stream, Legal Stream, Information Technology Stream, Civil Engineering Stream, and Electrical Engineering Stream - 2018. The Online Phase-I (Prelims) Exam was held on 17th of November 2018 and Phase-II (Main) Exam will be held on 16th of December 2018 for the same post. Check below for more details.